Mistakes made by industrialized nations in dealing with the AIDS epidemic could be repeated in developing countries unless HIV prevention efforts are expanded along with treatment, experts warned. In a report published ahead of the International AIDS Conference in Bangkok next month, scientists cited an unprecedented opportunity to integrate HIV prevention with treatment programs in poor countries, where most of the infections now are. "This is the best chance the world has had to build a comprehensive response to the global epidemic," Dr. Helene Gayle, co-chair of the Global HIV Prevention Working Group, said Thursday. The body, which published the report, is an international panel of nearly 50 AIDS experts. "More widespread access to treatment is likely to bring millions of people into health care settings, providing new opportunities for health care workers to deliver and reinforce HIV prevention messages," Gayle said. As the epidemic evolved in the richer countries, governments tended to emphasize treatment rather than prevention. As HIV infection became a manageable disease with the arrival of potent drugs, complacency set in, studies have shown. Condom use declined among some populations, other risky habits returned and infection rates crept up again. "If you look at budgets around the world, when treatment is introduced, often times it becomes increasingly the larger part of the budget and prevention spending stays flat or even decreases," Gayle said. 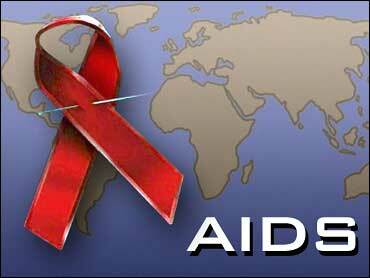 About 40 million people worldwide are infected with the AIDS virus and 5 million new infections are recorded every year. Sub-Saharan Africa is worst hit, but the epidemic is now pushing deep into Asia. Although only about 7 percent of people who need HIV medicine in poor countries are getting it, the drugs are now becoming more available. In a push to expand treatment, the World Health Organization aims to get 3 million people in the developing world on HIV drugs by 2005. The need to integrate prevention with treatment programs is well recognized, but without the proper coordination of the two approaches, the fight against the disease will be made harder, experts say. "I'm very optimistic because I think we have lessons to learn. We have history to show us that prioritizing treatment over prevention in the long run won't get us there," Gayle said.